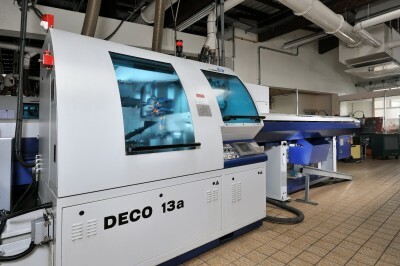 With its numerical-control turning department, made up of technical experts who benefit from ongoing training and numerical-control lathes, DGC Industries controls the production of complex precision parts from Ø4 mm to Ø32 mm in any type of material. Indeed, CNC machining allows for engineered parts with milling, transverse bores and many other operations. DGC Industries has always sought to enhance its competitiveness though its investment choices systematically pursuing effective modern and high-tech methods. The extent of these technologies allows DGC Industries to find economic and qualitative responses to each of your bar turning projects. Thus, by adjusting the speed of our machines and through simultaneous machining, making small and medium runs remains very economical.